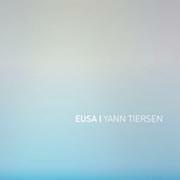 It comes as something of a surprise, then, to pause and consider that EUSA is not only Tiersen’s ninth studio album, but it's also his first solo piano album. Much like his modus operandi for his previous album, ∞ (Infinity), Tiersen has used his surrounding environs to inspire the music flowing from him. But here, with EUSA, there lies a crucial difference as he returns home to the island of Ushant, some 30km west of Brittany. Eschewing the band format, this is Tiersen alone using only a piano as his compositional and recording tool, and the rugged surroundings of Ushant for inspiration. Judging by the recorded results, Ushant – or EUSA to give it it’s Breton name – is evidently an island of sparse and stunning beauty, a place of meditative contemplation that brings a satisfying sense of tranquillity. And yet, it nearly didn't happen – or not as a recorded document, at least. Originally planned and released as a book of sheet music last December, Tiersen was forced to re-assess his original plan following the reaction to the ten piano pieces that comprise the album when he performed them on tour in the spring. His decision to record the album at Abbey Road studios has proved to be inspired, as the studio’s famed sound and acoustics give the album an added feel of intimacy that works perfectly for such seductively minimalist pieces. As evidenced throughout - but most notably on ‘Porz Goret’ and ‘Enez Nein’ – Tiersen’s main touchstone is the music of Frederick Chopin. This is sensitive music that ebbs and flows with a subtlety and passion as fingers dance across the keys with a deceptive ease. As with the overall composition, Tiersen favours a ‘less-is-more’ approach and it’s a tactic that works well in his favour; the listener is drawn in and is almost dared to fill in the gaps. Of course, you’d be a fool to attempt that but what Tiersen does so well is to paint a musical picture of a landscape that clearly means much to him and, yet, by using minimalist and delicate brush stokes, the image remains of an environment seemingly unencumbered and unburdened by the pressures and rush of the mainland. This isn’t the first time that Tiersen has sought inspiration from Ushant. His third album, La Phare, was also informed by the island but there Tiersen’s multi-instrumentalist approach offered a wider range of styles. But one need only pause at that album’s deliciously fragile ‘La Chute’ to get grasp where Tiersen is coming from this time around. Ye, for all its beauty, there are minor flaws. The ‘Hent’ series of tracks that intersperse the main narrative feel like too much information is being tacked on and consequently the album is pushed to a running time of almost an hour. Similarly, Tiersen’s field recordings of bird song and the natural environment, inserted here and there throughout, prove to be unnecessary distraction, especially when the music is specifically designed to evoke the natural beauty of Ushant. But these are minor quibbles. In and of itself, EUSA is a beautiful piece of work that acts as an aural snapshot of one man’s vision of security and peace. Though our respective locations may differ, there’s no mistaking the warmth and comfort of the place that we all call home.